Owner optometrist Poonam Shah is passionate about treating each patient as an individual and your satisfaction is her main priority. 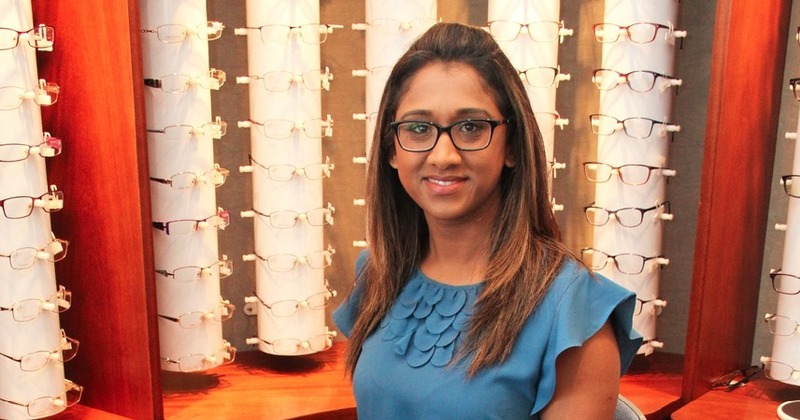 Poonam will personally look after your all optical needs, from a tailored eye examination or contact lens consultation, through to spectacle dispensing and fitting. So, you see the same friendly face at every appointment. "We understand its important for people to feel comfortable in their glasses so we stock a wide range of designer and non-designer frames to suit all ages, face shapes and budgets. You can try frames on in our private dispensing area, in your own time and without being interrupted." As we have a long history of caring for the people of Bedford and surrounding areas our intention and desire is to continue this work and add new services that meet the needs of our clients, young and old. As we have cared for many families throughout the generations we are inspired by their loyalty and look forward to welcoming new families to the practice so that we can continue to deliver the quality eye care that we are renowned for.